Weddings are old and so is affluence. What’s new is the concept of a destination wedding. A concept that has given rise to an industry – and a lot of excitement to wedding planners. An industry with an average CAGR of 10% is now valued at $298 Billion USD globally. The gulf region alone has a share of $4 Billion USD and is one of the most preferred regions for destination weddings. 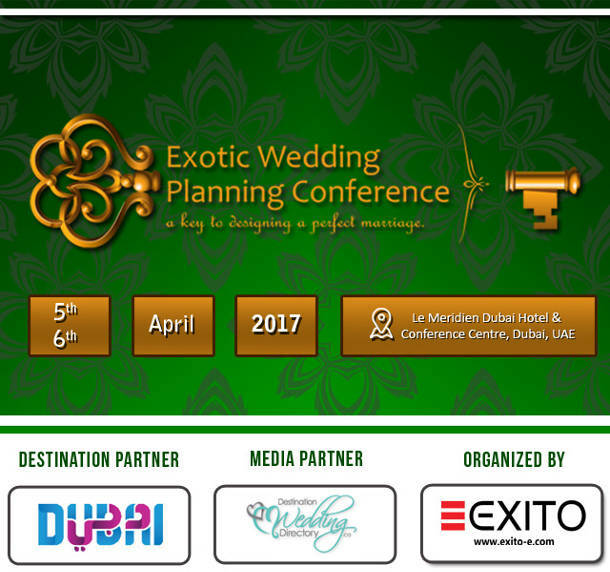 Acknowledging this potential and with the support of Dubai Business Events as Destination Partners, Exito Media Concepts brings its expertise to Dubai with the 3rd Edition of the Exotic Wedding Planning Conference, a 2-day conference that will take place on the 5th & 6th of April, 2017 at the Le Meridien Hotel & Conference Centre, Dubai, UAE. Focused on the Middle eastern wedding market this edition comes to you after successful stints in India and Spain. The conference is going to host 130+ wedding planners and 40+ wedding solution providers who are directly involved in serving the Wedding industry with the Middle East as a prime focus. The format is designed to provide learning about the industry best practices, define challenges and discuss solutions within the ecosystem, establish credible connections among the fraternity and facilitate business connections for the solution providers & planners alike. With a strong line up of speakers like Lisa Light from Destination Brides, USA; Mohamed Morani from Cineyug Intertnational Entertainment, India; Cathrin D’Entremont – from Cathrin D’Entremont Weddings, Australia; Ghada Blanco from Ghada Blanco Weddings & Events, Lebanon; Bruce Russell from Bruce Russell, UK; Innayat Khubchandani from Innaz Communique, Indonesia; Krupa Khimji from Mosaic Events Company, Oman; and many others, this event offers a progressive platform for discussions and learnings. The content for the event is curated keeping the latest trends in mind. Key topics of discussion revolve around the importance of ‘being the face’ of your business, innovative pricing strategies to justify a planner’s efforts, Conflict management with tough clients, doing more with less – great weddings within realistic budgets, managing work life balance and a lot more. So if you are a wedding planner, someone who wants to be on the top of the trade this conference is a must go event for 2017. Exito Media Concepts is a renowned name in India within the industry events space. The meeting designs delivered are based on effective activities in accordance with human networking designs. Speed Networking is one such unique activity that allows up to 200 people to network among themselves within just 30 minutes. This will be key in getting all the wedding planners together, on the same page on day 1 of the conference. This ensures smoother interactions for the rest of the event. The conference also leverages the use of questionnaires to help tailor make the event as per the attendee’s feedback. The topics of discussion, the attending speakers and the vendors who join us are all chosen with inputs coming through the questionnaire. This allows Exito to schedule focused meetings among the attendees - resulting in good business dialogue without any delays. 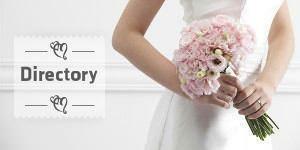 ‘We consulted many wedding planners and event specialists before coming up with this event. With the industry bound to take huge leaps, it’s imperative the industry sees more events in this space. The 3rd edition is brought to you after a lot of learning from the first 2 editions. The event will deliver what has been promised – this is the core belief we stick by.” Says Rishikesh Shetty, MD Exito Media Concepts Pvt. Ltd.